The GL gets an S, to be king of the Mercedes SUVs. Mercedes-Benz refreshes its GL to create the GLS, the seven-seat SUV sitting at the top of the firm's expansive SUV line-up. The S-Class of off-roaders, says Benz, and it might just be right. Long and tall, the GLS is, says Mercedes-Benz, the SUV equivalent of its S-Class luxury saloon. Only, with seven seats it'll haul more plutocrats in its capacious interior than all but a Maybach Pullman S-Class, and get them pretty much anywhere, too. There's a tiny market for these big machines in Ireland, but if you've got the need and means, there's not a lot out there to match it. Now badged GLS (previously the GL-Class), it's a facelift rather than a new model, with a new grille and headlights up front, new rear lights and some subtle body revisions elsewhere, while the interior receives a makeover, too. It's less utilitarian inside now, the materials a bit more upmarket, and the GLS features all the latest tech from Mercedes-Benz's driver assistance and entertainment arsenal. There's a revised engine under that vast bonnet, too, Mercedes-Benz, in a triumph of clarity simply adding a 'd' onto the back of its 350 badge on the rear hatch to denote that this turbocharged 3.0-litre V6 stops at the diesel pump. Shiny new grille, sharper headlights and more upmarket interior aside, there's no denying it feels like the refresh it is - albeit a successful one - the GLS lacking the styling polish of Merc's most recent SUV additions to its range like the GLE and GLC. There's no arguing with the space it provides, though. It'll seat seven comfortably, the rearmost two seats electrically rising and stowing into the boot floor. That boot is big enough for an echo, ranging from 680 litres to a gargantuan 2,300 litres with all five rear seats stowed. The GLS will pull 3.5 tonnes of trailer, too, making it about as capable a vehicle as you could ask for. We're in the unusual position of having driven the new GLS in both Europe and the USA, the latter admittedly in not-for-Ireland GLS 500 specification with a 455hp 4.7-litre biturbo V8 petrol engine. That's the one the soccer moms will drive - a sizeable portion of its customers according to Mercedes-Benz USA. In a more fuel economy enlightened Ireland the only seller (and even here we're talking single figure sales) will be the 350 d with its 258hp 3.0-litre turbodiesel V6. What is obvious over both drives is that the GLS is an adept off-roader, it cresting dunes in California with ludicrous ease, and driving up the side of a snowy mountain in Austria without any issue, either. If you want to haul your six passengers further off the beaten track still there's an off-road option too, which adds a low-ratio transfer box, multi-plate locking central differential, underbody protection and a greater choice of options from the already comprehensive Dynamic Select system. 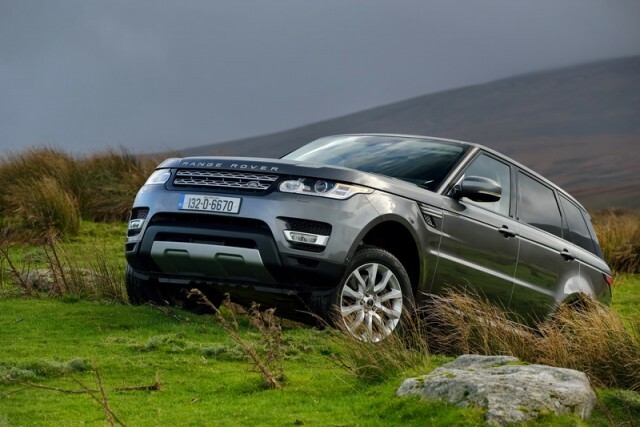 That off-road package allows the standard air suspension to rise even further to allow a 600mm wading depth, which most buyers are unlikely to need, even in the worst flooding we've seen. What that air suspension also does though is provide excellent ride comfort combined with fine body and roll control. Choose the Active Curve System and that's improved further still, giving the GLS the ability to corner almost entirely flatly, while retaining a supple composed ride at the same time. The steering is light, but thanks to that clever suspension surprisingly sharp for something weighing in at 2.5 tonnes, and there's even the slightest hint of feel at the steering wheel's rim. The V6 engine is all but silent in normal operation, with only the faintest thrum if you're asking a lot from it - which, thanks to its ample torque, is rarely. The nine-speed automatic is also slick for the most part, though sometimes a bit clunky in its selection at lower speeds. For something so vast it's not as daunting to drive as you might think, it's not as wide as you might imagine and its surprising agility means it doesn't feel unwieldy in the bends either. Parking it is tricky though, as it's over five metres long, but there are parking sensors and cameras to help. Sitting at the top of the Mercedes-Benz range, the GLS won't be short of equipment; even in its base form you'll want for nothing so extensive is the standard kit list likely to be - though we don't yet have Irish pricing and specifications. If your pockets are deep enough and you absolutely need your seven-seat Merc SUV with a 5.5-litre biturbo V8 petrol engine, 585hp and AMG chassis revisions there's the Mercedes-AMG GLS 63 4Matic. We're guessing exactly zero of those bonkers AMGs will be sold here, though. We're not quite sure if the new GLS entirely lives up to Mercedes-Benz's billing of the S-Class of SUVs, but it's close enough. To truly match its luxurious saloon relation it'd need replacing rather than this comprehensive refresh. The dashboard for example, however improved, trails the super high tech twin screen set up of the S-Class. There'll be no hybrid model either, though there's rumour of a super-luxury Maybach version in the future - it's certainly big enough. A hugely capable all-rounder for those with means, the GLS will remain a rare sight here. 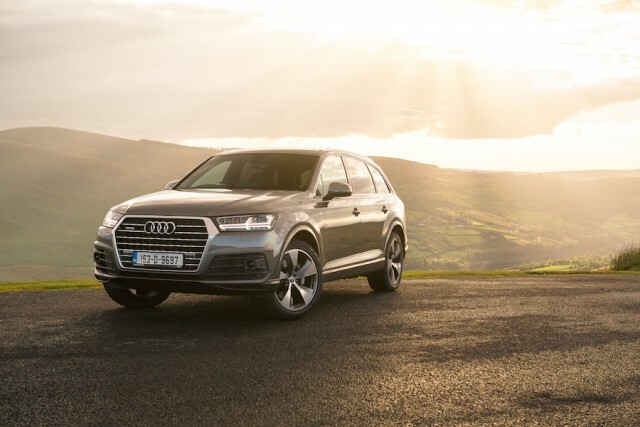 Audi Q7 vs. Mercedes-Benz GLS 350 d 4Matic: Audi's big SUV brings the seven-seat versatility of the Benz, but the Merc's got the Audi licked for interior space, towing and carrying capacity. Range Rover vs. Mercedes-Benz GLS 350 d 4Matic: the off-road daddy and luxury standard-bearer, though, oddly, you'll need its slightly uncouth Range Rover Sport relation if you want seven-seat ability. 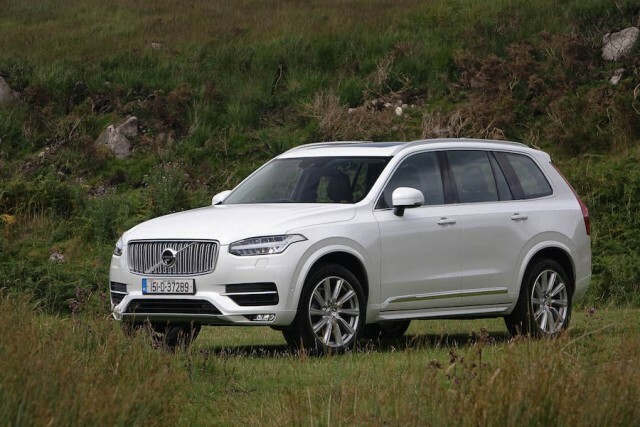 Volvo XC90 vs. Mercedes-Benz GLS 350 d 4Matic: a Volvo instead of a Mercedes-Benz? You'd better believe it, as the XC90 is a hugely impressive SUV that feels far more futuristic inside than the big GLS.